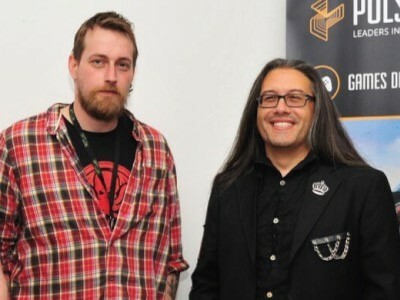 Chris Colston (L) with John Romero the series creator of DOOM. Chris Colston is a senior lecturer on our Game Development and Game Design courses but something not everyone knows about Chris is that he’s also an award winning game developer! It all began back in 2014 when Chris and his friend Paul Conway organised a Game Jam with Pulse College where they carved out an early version of their hit game The Darkside Detective. We caught up with Chris for a quick chat in between lectures to find out a bit more about The Dark Side Detective, what masterpieces he’s working on now and what he’s teaching all his game dev students this year in Pulse…. Chris, before you tell us about the game, how did you get into the whole area of game development? Sure, well I grew up playing the old classics: Monkey Island, The Dig, Sam & Max, Day of the Tentacle that type of stuff. In fact, the Tentacle makes a little cameo in Darkside Detectives! I fell in love with these types of games and became interested in game design and game development. After I finished school I decided I wanted to study in the area and did a BA in Game Design and Development in Glasgow. I became very interested in Design Psychology. For anyone who’s not familiar with the term, Design Psychology is the study of why people play games, how people interact with games, what brings them back for more and what puts them off a game and how we can apply this to game in development. Sort of like User Experience (UX) for game design! It’s a fascinating subject and something I try to get my students to think about when they are working on their own projects. When I finished studying I worked with some of the big players like Sega, EA etc and I also worked on some more independent stuff here in Ireland. Eventually I found my way into teaching, it’s a lot of fun and extremely rewarding to pass on my knowledge to a whole new generation of talented designers and developers. The Dark Side Detective – Where did it all begin? Well It all kicked off at a Pulse College Game Jam back in 2014 where Paul and I knocked up an early version of the game. Game Jams are great fun and pretty intense; we only took less than 24 hours to work on the first draft. With such a quick turn around time, the initial draft was pretty basic but it was enough to get the idea across. If you’re interested in playing the original, you can – it’s still available for download! The game itself is a classic point and click game along the lines of the type I played growing up. At the Jam we came up with the story of a detective named Francis McQueen, investigating the disappearance of a girl who went missing from her home. We formulated a structure and the various scenes for each room and got to work. Bit by bit it stared to come together, and we were happy with the progress. At the end of the event we put it online and it was crazy to see the reaction. People were getting really excited by the game. Within the first day or two it had 10,000 hits It also picked up some media attention early on with reviews in Pocket Gamer, Rock Paper Shortgun and IGN to which was really cool too! We were chuffed that it had been so well received and we made the decision to take it to the next level and produce a larger version. We spent the next three years working away….. The Darkside Detective goes into production…. Making the next version took a lot of hard work but it was worth it. There were more than a few late nights with pots of coffee on the go coding away furiously, tweaking ideas and plot lines to get everything the way we wanted it. We brought in Dave McCabe as a writer and spent a lot of time getting the flow right, working together to think up the riddles the players would have solve and mapping out our ideas before implementing them. It also had featured articles in PC Gamer IGN…..
We released a little Christmas Special Bonus Case Add On which has had over 100,000 downloads – it’s pretty crazy when you think about where it all stared! The final version is available on Steam for both the PC & Mac and available in the Nintendo Store for the Nintendo Switch. I’m working on a bit of a top-secret project at the moment…. It’s a point and click adventure game set in the Warhammer Universe. I’d love to tell you more, but I’d have to kill you!!! What do you cover in the game courses at Pulse? I teach the Game Development and Game Design courses and focus on 3D Game Art and Design. 3D Game Art this covers the entire pipeline of a game’s development, right from early concepts (original sketches) through to implementation. 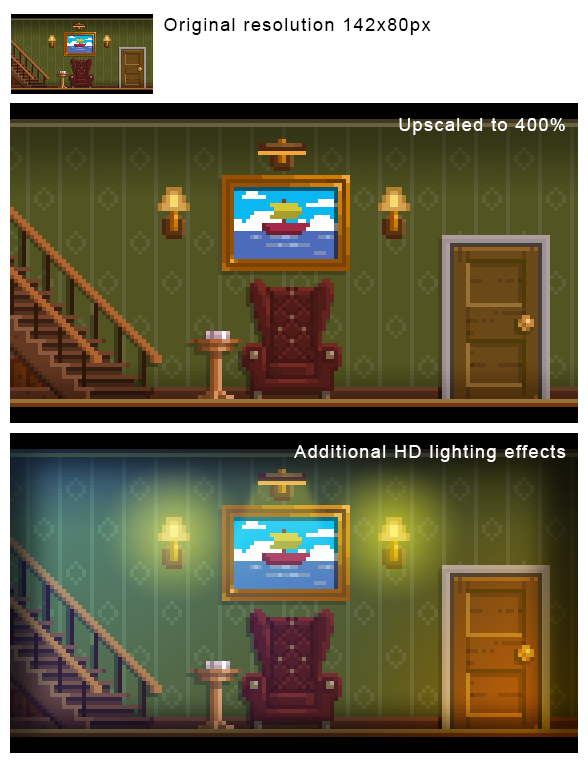 This includes 3D modelling, texturing in Photoshop and then bringing the work into a game engine. 3DS Max is used for the 3D modelling. The Design modules cover aspects including psychology, UX, user research, narrative design and storytelling for games. It’s a very exciting time in Ireland for anyone interested in game development or design, there’s plenty of opportunities to get work in the area. Also it can be very rewarding and you can make the kind of games you love to play yourself – that’s cool!